Avengers 2 opened last week to a lot of expectations and fanfare - another marquee release from the Marvel Comics that brought back together the earth's superheroes ( discounting Thor from Asgard!) for another last-stand - this time against a megalomaniacal borderline psychotic super-bot called Ultron. Joss Whedon is in fine touch again - giving us yet another supercharged frenetically paced blockbuster entertainer that we all had been yearning for. 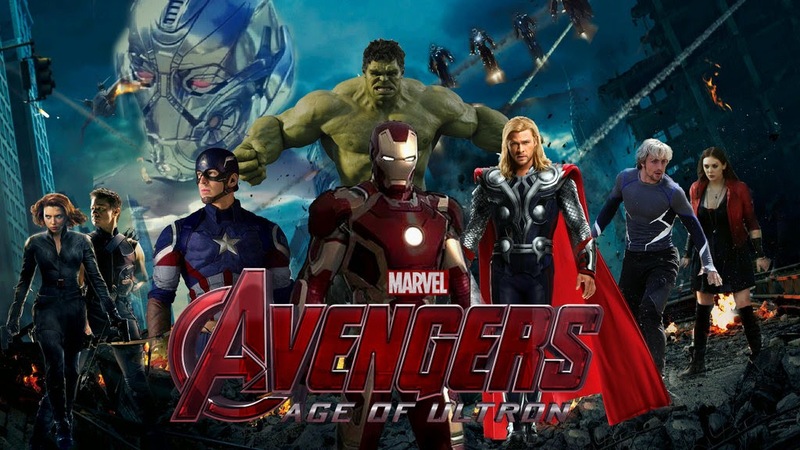 Avengers-2 has got so much to ground to cover - introduce us back to the all-star ranks of superheroes who would never get along with each other, throw in new characters, whip out a plot-line involving a genocidal robot out to cleanse the world and of course crunch in the never-ending action set pieces chucking them one after the other at us - that there's hardly room to breath. Seriously. When Patrick at Momentum Books, Australia got in touch with me to review C S Sealey's debut - Equilibrium, a serialized high-fantasy book in the tradition of David Eddings or Brandon Sanderson, I got super excited about this chance to dive into this fascinating new world that C S Sealey has built up - and will be exposing us to in the next six installments coming out. Here Carmel talks about her love for this wonderful genre and what her perspectives are on worldbuilding - especially as wrought in this new exciting series. Reading fantasy is a hobby that millions around the world take pleasure in for a whole range of different reasons—to travel, learn, remember, forget, laugh, cry, feel terror, discover, imagine, fall in love, be blown away, dream… However, beneath each of these reasons is the same universal idea—escapism. Dark Sun, Bright Moon by Oliver Sparrow was published in July 2014 - and is available for sale on Amazon in both paperback and ebook. If your interests veer in the direction of historical fiction - tinged with ancient magic/fantasy, then you should give this one a try. What piqued my curiosity was the reference to the Andean civilization and history as was shaped four hundred years before the Spanish conquistadors came by. I was lucky enough to be gifted a copy and will soon be devouring this fascinating tale. Woohoooo!!! The Force is still strong. And don't miss the last few seconds of the teaser..Christmas can't come sooner!! The Singular and Extraordinary tale of Mirror and Goliath with the intriguing tag-line: The peculiar Adventures of John Loveheart, ESQ - from Angry Robot is Ishbelle Bee’s spectacular debut in the speculative fiction world. Just like the peculiar title, the novel itself is a riotous splash of many a familiar fairy tale liberally wrangled with a dash of macabre horror, set during the fag-end of the Victorian Era – An 1880’s London rife with the East-end murders, missing children and magic like blood-red poppies floating in the air. It’s a sort of the author’s love paean to this genre: Bee, the author who loves Victorian Top Hats and Cake Tents incorporates both these elements and a lot more from her favourite era into the novel- beautifully entwining them into a tight little fairy tale of her own. By parts lyrical and scary, it’s a gem of a novel that stands apart from other titles in today’s world. Kudos to Angry Robot for having backed up and brought out this game-changer to us. The Good Folks at Inkitt are calling for submissions for their April Writing Contest. So get those pencils sharpened and the ink pots filled up - and get writing !! Spring into another world in April: free sci-fi/fantasy contest in honor of Terry Pratchett! A few weeks back, I had stumbled onto the post-apocalyptic YA series, Penry and the End of Days written by Susan Ee - a lot of hype around the "explosive" conclusion End of Days, Book-3 coming out next month. 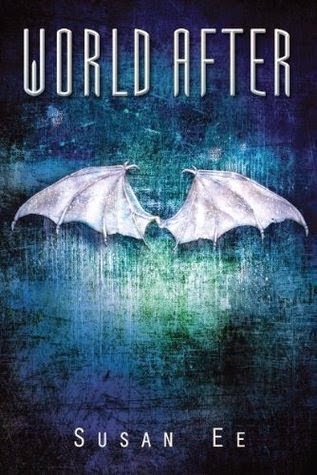 I actually LOVED book-one ( AngelFall) and was looking forward to diving back into this fascinating struggle between Humans and Angels - and of course the hesitant but surely budding "relationship" between Raffe ( fallen angel, greek god extraordinaire) and Penryn ( the heroine ). Well, of course this was a second book in a series and so I had to keep my expectations curbed in, I knew that. So Smiler's Fair was a revelation for me last year and I even nominated this book to be among my best reads for 2014. It has been a tour-de-force in terms of establishing itself as a first-volume fantasy where everything - be it the multitude of characters, the enticing brilliantly realized world set against the backdrop of a nomadic circus group, the frenetic action or the effortless plotting - everything was absolutely spot-on. Reading the first book in this quartet that explores the "reawakening" of Moon-God, Yron into this world is like being sucker-punched without any warning - It was that good. So when the good folks at Hodder & Stoughton announced that the Cover for Hunter's Kind ( Part-2 in the Hollow Gods Series ) is out, it was kind of a big deal for me. And knowing that I will get back in touch with Krish and the rest of the folks from Smiler's Fair soon...has got me 'CHUFFED' Shivering with the anticipation is an understatement!